CLEARWATER, Fla. -- Late on a November afternoon two years ago, a 36-year-old Scientologist named Lisa McPherson was involved in a minor traffic accident. She was not injured, but she inexplicably stripped off her clothes and began to walk naked down the street. A paramedic rushed her into an ambulance and asked why she had taken off her clothes. Ms. McPherson replied: "I wanted help. I wanted help." She was taken to a nearby hospital for a psychiatric examination, but several Scientologists arrived and explained that their religion opposes psychiatry. Ms. McPherson asked to leave and, against medical advice, she was released into the care of the Scientologists. Seventeen days later, after being kept under 24-hour watch at a Scientology-owned hotel in downtown Clearwater, Ms. McPherson was dead. By church accounts, she had spit out food, banged violently on the walls of her room and hallucinated. The county medical examiner said Ms. McPherson was deprived of water for at least her last 5 to 10 days and died of a blood clot brought on by severe dehydration. Church officials denied responsibility for the death and challenged the medical examiner's findings. But the image of a healthy young businesswoman slipping into dementia and dying inside the Church of Scientology's landmark building here has rekindled deep suspicions in this serene retirement community, which for two decades has been the unlikely spiritual headquarters of one of the world's most-debated churches. Since moving here in 1975, Scientology has bought $32 million worth of property, mostly downtown, and its 1,000 staff members are seen on every downtown corner in their distinctive naval-type uniforms. Its parishioners own dozens of businesses, and devotees come from around the world each year to take upper-level Scientology courses available only in Clearwater. But despite its efforts to join the mainstream here and abroad, the Church of Scientology has never completely overcome the distrust and fear generated by its clandestine arrival in Clearwater more than 20 years ago. Only later was it discovered that Scientology had come here with a written plan to take control of the city and silence anyone who got in its way. Today, although the plan failed, suspicion runs so high that the police assign an intelligence officer to monitor the organization, and detectives are now concluding a two-year criminal investigation into Ms. McPherson's death. Even as it illuminates the church's relationship with this Gulf Coast city, an examination of Ms. McPherson's life and death, including a review of church records and other documents from a lawsuit filed by her family, also offers an unusually rich look into the world of one Scientologist. It shows how virtually every aspect of her life -- work, friendships, relationships with family members, even choices of vacation spots -- was influenced by the church. It also shows the financial demands Scientology places on its members, and the tremendous value to the church of the landmark decision by the Internal Revenue Service in 1993 to grant tax-exempt status to Scientology. Ms. McPherson worked at a business owned by Scientologists and spent so much of her salary on church courses that she had to borrow from her employer to keep up with her studies in church doctrine, according to documents provided to The New York Times by lawyers for the family. She was able to deduct the payments for those courses from her taxes, but when she got her refund from the federal government, it was turned immediately over to her employers to pay for more courses. Since receiving tax-exempt status, Scientology has waged a campaign to persuade members to increase contributions and take advantage of the deduction. For 25 years, the IRS had considered Scientology a commercial enterprise and refused to give it the tax exemption granted to churches. The refusals had been upheld by every court. The agency reversed its position after a campaign by the church that involved lawsuits, the use of private detectives to investigate IRS officials and a meeting between the church leader and the IRS commissioner. The financial pressure on members of Scientology is one reason critics worldwide describe the church as a cult and money machine intended to bilk the faithful, who pay large sums to undergo counseling sessions. This is the primary reason given by the German government for refusing to recognize Scientology as a religion. Beyond the financial issues, the circumstances surrounding Ms. McPherson's death raise questions about whether the church's handling of her medical treatment, particularly its failure, for philosophical reasons, to provide psychiatric care, contributed to her death. For their part, church officials and lawyers said the death was accidental, the result of an undetected blood clot. They accused the Police Department of a vendetta and said the police would not have investigated Ms. McPherson's death were she not a Scientologist. Echoing the same stance they have taken in struggles with governments around the world, church officials said that the days of covert attacks on critics of the church were long over and that Scientology simply wanted to be a good neighbor. They recite a list of civic projects, from sponsoring Boy Scout troops to running a winter carnival to raise food for the poor. "Our goal is to be able to work with the community on community activities, to help the city and help the people in the community to survive better," said Ben Shaw, director of external affairs for Scientology. "I think we have accomplished that in a lot of ways, with a lot of people." Some remain unconvinced, and the sometimes-sordid details surrounding the death of Ms. McPherson have fed their anxieties. "The death of Lisa McPherson reaffirms that what we heard 20 years ago was true and I have not heard or seen anything to make me think they have changed," said Clearwater's mayor, Rita Garvey, who won a fourth term last year over an opponent backed by Scientologists. "They may be here, but I'm not going to accept it. I refuse to meet with them." Certainly in her progression within Scientology, Ms. McPherson gave more to her church than average Americans donate to traditional churches. In the last two years of her life, she paid $97,000 for Scientology courses with names like "Wall of Fire" and "New Life Rundown." The payments amounted to 40 percent of her earnings. Because of the IRS decision, Ms. McPherson could deduct her payments as charitable gifts. In 1994, her payments of $55,767 led to a $17,500 tax refund, which, records turned over in the family's lawsuit show, Ms. McPherson signed over to pay for more Scientology courses. Scientology officials and lawyers said it was possible to advance within the church without paying large sums and they scoffed at the idea that there was anything unusual about Ms. McPherson's donations. "She was a 36-year-old woman who had been a Scientologist for 13 years, and she could give whatever she wanted," said Laura L. Vaughan, one of 20 lawyers hired by the church to deal with the McPherson investigation and the wrongful-death suit brought by her family. "There are a lot of people who give a heck of a lot of money to the church." Ms. McPherson's links to the church went beyond her donations. Like many Scientologists, she made the church her life. She was a sales representative for a small business owned by Scientologists and operated according to the management theories of the church founder, L. Ron Hubbard. Many of her co-workers and friends were Scientologists and, when she fell behind her goals at work, she submitted to Scientology techniques aimed at working through her problems. In keeping with the church's belief that people live many lifetimes, Ms. McPherson signed what Scientology calls a "billion-year contract," as a member of the Sea Organization, Scientology's elite staff group. Although she later resigned from the staff, she remained a devout Scientologist. And when her life began to fall apart, she turned her back on conventional medical treatment and sought refuge in Scientology. "For members who are deeply involved, Scientology becomes a totalistic institution," said Stephen A. Kent, a sociologist at the University of Alberta in Edmonton, Alberta, who has studied the organization. "It provides them with everything from occupation, pseudo-medical treatments, entertainment and a justice system to an overarching purpose for their lives." 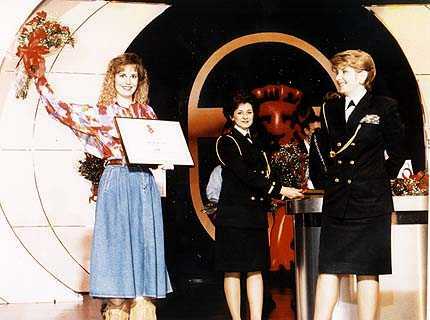 Ms. McPherson joined Scientology in 1982 in her hometown of Dallas. Eleven years later, she arrived in Clearwater, part of the wave of pilgrims to a city that, for reasons that remain unclear, Hubbard selected as his mecca. Ms. McPherson's employer, AMC Publishing Co., moved its operation from Dallas to be closer to Scientology. AMC, which sells promotional material to the insurance industry, is one of dozens of businesses here that belong to the World Institute of Scientology Enterprises, which uses the acronym WISE. These businesses operate according to Hubbard's management theories and pay a fee to Scientology, usually 10 percent of annual earnings. They often follow Scientology methods in dealing with discipline and other workplace issues, and employees are encouraged to take church courses. Scientology describes itself as the only major new church to emerge in the 20th century and boasts eight million followers worldwide, though critics put the number at far less. Though its main offices are in Los Angeles and Clearwater, the church maintains missions in many foreign countries, including Germany and Britain. Its founder, Hubbard, said people were immortal spirits who have lived through many lifetimes and accumulated traumatic memories that are obstacles to achieving their full potential. Adherents believe that those afflictions can be eliminated through a series of counseling courses, known as auditing. Most of the courses involve detailed questioning about Scientology and the members' lives, by church ministers who monitor responses with a crude lie detector they call an E-meter. The result, after years of courses, is an individual who is "clear" of problems. In Clearwater, Ms. McPherson thrived at first. In 1994, she wrote to an uncle that she was doing well and meeting stiff targets at work. She was so successful that she earned commissions of $136,812. And, on a personal level, she was repairing long-ruptured relations with her mother, Fannie, back in Dallas. In a family videotape from Dec. 31, 1994, Ms. McPherson laughs and chats with cousins in an easy Texas drawl as they prepare for a New Year's party. "Fannie had finally decided that she just had to ignore the Scientology part if she wanted a relationship with Lisa and they had been getting along so well," Dell Liebreich, one of Lisa's aunts, recalled recently as she sifted through a box of her niece's belongings at her home in Yantis, 80 miles east of Dallas. Despite her income, Ms. McPherson lived frugally. She shared a $695-a-month apartment with a roommate and bought little jewelry or furniture. But no expense was spared when it came to Scientology. Church financial records turned over in the family's lawsuit show that Ms. McPherson paid $55,767 for Scientology courses in 1994 and contributed $41,924 in 1995. The final year of Ms. McPherson's life was tumultuous. In Scientology terms, she was "roller coastering," meaning she was going through emotional ups and downs. In June 1995, she apparently suffered a mental breakdown. A report prepared after her death by the church said, "She caved in and went into a spin (psychotic break)." She spent two days recuperating at the Fort Harrison Hotel in Clearwater, the church's primary retreat. Her payments to the church fell sharply, but within a month she had resumed paying thousands of dollars a week for courses. Her commissions at work remained low, however, and she borrowed from her employers to pay for the courses. AMC payroll records show that Ms. McPherson borrowed more than $33,000 in 1995, and paid the same amounts to the church for courses. By September, she apparently had recovered enough to reach the coveted status of clear. Photographs of her award ceremony show Ms. McPherson beaming, and she wrote passionate letters of thanks to fellow Scientologists. But the roller coaster was headed down. In late October, she was on the telephone to her mother, sobbing that she had let down her group at work, her aunt said. Two weeks later, she telephoned Kelly Davis, a childhood friend in Dallas, and said she was going home to stay, by Christmas at the latest, Ms. Davis said. In a sworn deposition, Ms. Davis said she interpreted Ms. McPherson's remarks to mean that she was leaving the church. Her aunt, Mrs. Liebreich, said the family also thought that Ms. McPherson was considering leaving Scientology. Church lawyers said she had no intention of leaving the fold. Instead of planning on Christmas in Dallas, the lawyers said, Ms. McPherson had made reservations for a holiday cruise aboard Freewinds, a ship owned by the church. She never went home or on the cruise. About dusk on Nov. 18, 1995, Ms. McPherson was driving her 1993 Jeep in Clearwater when she struck a boat being towed by a car that had stopped for an earlier accident. Damage was minor and paramedics at the scene examined Ms. McPherson and found her uninjured. Then she took off her clothes and began to walk along the street. Bonita Ann Portolano, one of the paramedics, helped her into the ambulance. Mrs. Portolano said Ms. McPherson was muttering about not needing a body to live and said she had taken off her clothes because she wanted help. In a later deposition, Mrs. Portolano estimated that Ms. McPherson weighed 155 pounds. "She was a very healthy person, just voluptuous," the paramedic said. After Ms. McPherson was taken to a nearby hospital, seven Scientologists, including some senior officials arrived. She refused psychiatric treatment and said she would not harm herself, and she was released into the care of her fellow parishioners. Although Scientologists do accept medical treatment, Ms. McPherson was following the church's conviction in rejecting psychiatric care. Church literature says psychiatrists were paid by the government to denounce Scientology as a hoax when Hubbard, a successful science fiction writer, began the church in 1954. In 1969, the church created the Citizens Commission on Human rights, which was supposed to expose and eradicate "human rights abuses by psychiatry." In January 1974, Hubbard wrote a paper describing what he called the "Introspection Rundown" for treating people who suffer mental breakdowns. He said that the technique "possibly ranks with the major discoveries of the 20th century" and that it would do away with psychiatry. The first step is to isolate the people who suffer breakdowns to protect them and others. No one is allowed to speak to the people or within their hearing, except to deliver lessons supposed to locate and correct the problems that led to the breakdown. Lisa McPherson spent her final days in isolation in Room 174 at the rear of the Fort Harrison Hotel. A church lawyer initially described her stay to a local reporter as restful, and he said she had received no medical treatment. But 33 pages of handwritten logs tell a far bleaker tale. The logs were released this summer on orders from the judge hearing the McPherson estate's lawsuit. Scientology staff members who monitored Ms. McPherson 24 hours a day kept them, and the notes depict a woman whose mental condition deteriorated rapidly and whose health began to fail well before she died. Two days into her stay, the logs recount Ms. McPherson spitting out food and vomiting. The fourth day, she was ashen-faced and feverish. She was often described as violent, striking her attendants and banging on the walls. She soiled herself and hallucinated that she was Hubbard. One of the logs indicated that she tried to leave the room, but church lawyers say that she was not restrained. Rather, Ms. Vaughan, one of the lawyers, said, she was incapable of caring for herself. Among those who cared for her was Dr. Janis Johnson, a member of the church medical office. Dr. Johnson is a physician who is not licensed to practice in Florida and had agreed to restrictions on her medical license in Arizona in 1993 after two hospitals questioned her use of prescription drugs. On Dec. 1, 1995, Dr. Johnson administered a prescription sleep medication to Ms. McPherson, and left written instructions that Ms. McPherson be given two liters of liquid when she awoke. Kennan Dandar, the lawyer for the McPherson estate, said two liters was a substantial amount of liquid and that the instructions were an indication that Ms. McPherson was in need of immediate medical attention. "They should have taken her to the hospital immediately," Dandar said. "Instead, they kept her there until she died." Notes for Dec. 2 and 3 indicate that Ms. McPherson drank some liquids and was coherent at times. Scientology officials said they could not find the notes for the final two days of her life. On the evening of Dec. 5, Ms. McPherson's condition had deteriorated to the point that Dr. Johnson sought outside help. Records indicate that about 7 p.m. she telephoned a Scientologist who was working as an emergency room doctor at a hospital in New Port Richey, Fla., 45 minutes from Clearwater. Dr. Johnson and another church staff member took Ms. McPherson to the New Port Richey hospital, passing four other hospitals. When they arrived, hospital records and court files show, Ms. McPherson had no pulse. She was pronounced dead after 20 minutes of resuscitation efforts. "She was thin, she was unkempt, dirty, just not taken care of," said the emergency room nurse who helped to try to revive Ms. McPherson. Because it was an unattended death, an autopsy was done, it found that Ms. McPherson, who was 5-foot-9, weighed 108 pounds and that she had scratches and bruises on her hands and arms. The cause of death was listed as a thromboembolism, or blood clot, in her left pulmonary artery. Severe dehydration and bed rest caused the clot, the autopsy said. A police inquiry was started, as a matter of routine. In January, Dr. Joan Wood, the county medical examiner, appeared on "Inside Edition," the syndicated television program. Saying that she was speaking out because of misinformation from the church, Wood said the autopsy indicated that Ms. McPherson had gone without water for at least 5 to 10 days, and possibly longer. She said Ms. McPherson had been unconscious for the last 24 to 48 hours of her life and that the scratches on her arms were cockroach bites. "This is the most severe case of dehydration I've ever seen," she said. The church hired its own medical experts. Its lead lawyers in the criminal case, Ms. Vaughan and Lee Fugate, said in an interview that those experts disagreed with Dr. Wood. By their account, the church's doctors determined that Ms. McPherson's death was unrelated to her stay at the retreat. The lawyers declined to identify the experts. They also said that the county pathologist who performed the autopsy disagreed with some of Dr. Wood's findings and that the lawyers disputed the paramedic's estimate that Ms. McPherson weighed 155 pounds the day of the accident. "A Scientologist can refuse psychiatric treatment and be treated in accordance with her own religious beliefs," Ms. Vaughan said. "And while that may not be easily understandable by someone who is not a Scientologist, it is part and parcel of their basic makeup, their religion and their belief. When the competent medical testimony comes forward, what you will have is a woman who died an accidental death from a pulmonary embolism." 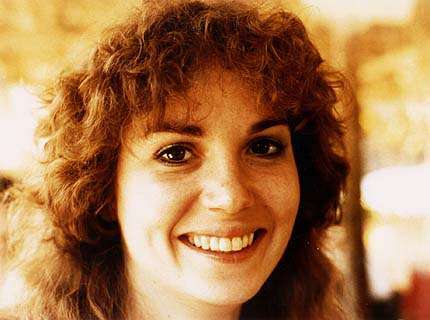 In February, the McPherson family sued the church on behalf of Lisa McPherson's estate. The suit claimed that Ms. McPherson was held against her will and died after slipping into a coma. About the same time, the Clearwater police expanded their investigation. Over the last 10 months, detectives have interviewed dozens of Scientologists and outside experts on the church. Police officials declined to discuss their findings, but the results are expected to be turned over to the prosecutors this month. State Attorney Bernie McCabe, the chief prosecutor for the county, will decide whether criminal charges are warranted. Before making his decision, McCabe said in an interview, he will take the unusual step of allowing Scientology's lawyers to present the results of their investigation, including analyses by several forensic pathologists. "Does it happen every day that the defense presents its evidence before charges are filed?" McCabe said. "No. But not to avail yourself of an opportunity to review the defense's evidence before making a decision would be foolish." In Texas, Dell Liebreich waits impatiently for the decision. She took over the suit after Ms. McPherson's mother died of cancer earlier this year. Her lawyer, Dandar, tells her that the outcome of the criminal inquiry will not affect the suit, but Mrs. Liebreich said she wanted people held accountable for the death of her niece. "They murdered her, and we don't want it to happen to someone else," she said.